Elsa Mirzaei is a queer Iranian artist, educator and curator working on the stolen territories of the Algonquin & Mohawk nations (also known as Ottawa and Montreal). Elsa is currently working for Envision Management and Production in Montreal as a grant-writer; and is the grant-writing power behind DIY Spring. Corrina loves grilled cheese, video games, and building scale models of giant robots. DIY Spring Festival is a volunteer-run collective that does not work for profit. The DIY Spring Collective + Steering Committee is responsible for overseeing how the budget is allocated and for selecting artists. Tiffanie believes that music is an important form of empowerment and self-expression and should be accessible to everyone. Born and raised in Ottawa, Tiffanie has been involved in music since an early age when she learned how to play piano, followed by guitar and saxophone. Tiffanie is currently the chair of Girls+ Rock Ottawa, a volunteer-run community organization that provides music-based programming to foster empowerment, inclusivity and community to girls, women, femmes, non-binary, two-spirit, and gender non-conforming folk (GWFNB2SGNC+) - all while having fun. Born in Ottawa, Canada, Nneka Nnagbo is first and foremost a nostalgist at heart. The Ottawa-based music writer and burgeoning film photographer spent her youth being inspired by old films and music from the 70’s through to the 90’s. She credits her consuming passion for Carrie Mae Weems, Gordon Parks, Joni Mitchell, Dennis Cooper, and the dreamscape cinematography of Sofia Coppola, as her raison d’être and main sources of inspiration. Growing up as a young black female in a predominantly white suburban township, and navigating her way through those differences was hard and at times confusing. Searching for her identity whilst attempting to find common ground and similarities amongst individuals she could neither directly, nor physically, relate to, often caused her to feel foreign in many ways. However, through her writing and music, she has found a comforting space to creatively and unabashedly vent and express herself, as well as learn from the stories of her favourite artists. The Nigerian-Canadian music enthusiast currently contributes to two music magazines where she hopes to use her voice to help highlight Canada’s musical diversity. With over three years of experience covering local and national musicians and bands, Nneka Nnagbo is a strong proponent for the importance of independence, inclusivity, community growth, and empowerment in the music scene. King Kimbit is an internationally-acclaimed multidisciplinary literary Hip-Hop artist, interested in telling stories that are authentic to her experiences and identities. Her poetic work details the realities of her upbringing as the daughter of Vietnamese immigrants, the truths of her social vantage point as a young racialized womxn, and her stance on social issues regarding racism, de/colonization, and gender inequality. 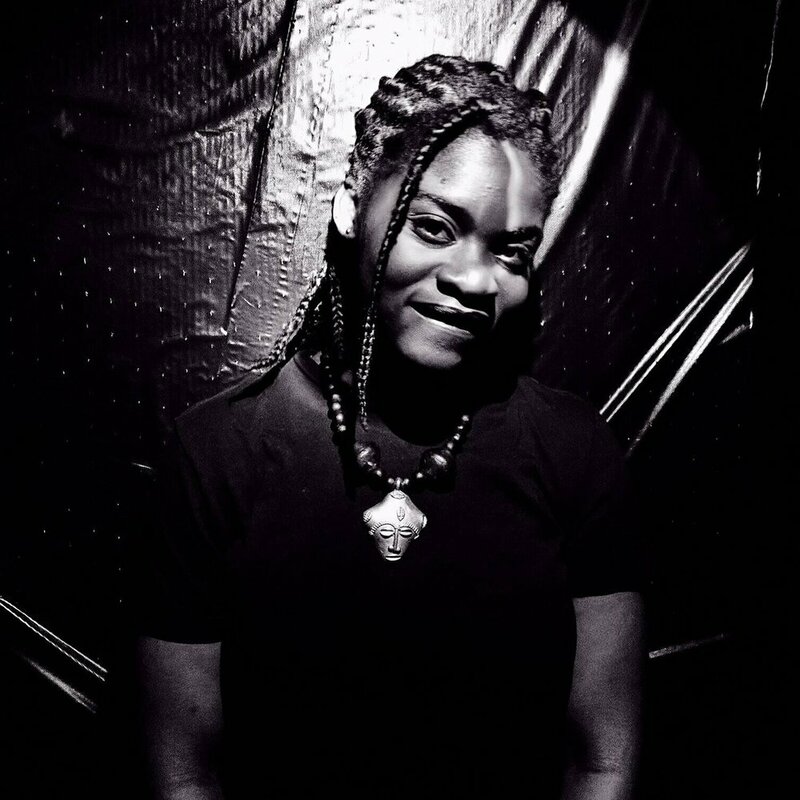 King is the 2012 Urban Legends Poetry Slam Champion (the first woman in Ottawa to be the seasonal champion of a major slam series), and she regularly performs music and poetry across North America. King currently coordinates Urban Legends’ Youth Speak! writing and performance workshops for teens, and released her debut album of poetry and musical arrangements entitled “Life Lessons Poetically” at the end of 2017. King is also responsible for the recent inception of Cap City Cyphers, a space for rappers across the city to unite and celebrate love and unity through Hip-Hop. Gabriela Warrior Renaud is an award-winning independent filmmaker based in Ottawa, Canada. Her work uses the intimacy of storytelling to dig deeper in issues of race and culture. She wants to push the boundaries of our collective comfort-zone to allow room for more inclusive conversations and equal representation. By sharing intersectional stories, Gabriela wants to humanize difficult subjects and shed a light on issues that have been left unexplored. She is currently working on "Hyphen": a documentary which explores cultural identity by sharing stories and experiences of mixed-race Canadians. Selali is a yung dreamer, lover, and magic-maker known for building better and healthier communities through performance arts, social media, graphic design, and entertainment production. Through Black Like Me 613, they continue to create spaces for Black people to come together and find happiness, safety, support, and whatever else is needed to grow and thrive. Catch them taking over your radio airwaves on The Take-Over, CKCU FM. Larissa Desrosiers is an emerging Anishinaabekwe singer-songwriter and community organizer from Couchiching First Nation and Fort Frances in Northwestern Ontario. Her music is a blend of folk-inspired sounds and social justice issues, particularly around contemporary Indigenous issues in Canada.